Every woman knows that no outfit is truly complete without the perfect bag and while you’ll find some lovely ones in House of Fraser, Selfridges and on the high street, we prefer to look for ones that no one else will have. Following our love of uniqueness and independent brands, here are a few of our absolute favourite bags that you’ll be fighting to get your hands on. Rebecca Minkoff is a self-made fashion designer who started at only 18 years old! Now an industry leader, her collection of designer bags and luxury clothes are sought after worldwide. Not only do we love her designs, but we love her company ethos too. This year, she started a campaign that invests in women’s financial power across the socio-economic spectrum, to boost businesses led by women. This mustard yellow satchel bag with silver hardware is bang on trend for Autumn, and the long strap and top handles mean you can wear it however you want. If you love quirky then this is the brand for you. Thinking completely outside of the box, Vendula London make bags and purses in the shape of store fronts (such as toy shops and tiki bars) and they even have a bag shaped like a prosecco truck! You certainly won’t find anything else like it out there and our favourite is the biscuit shop grab bag – all your friends will be dying to know where you got it! 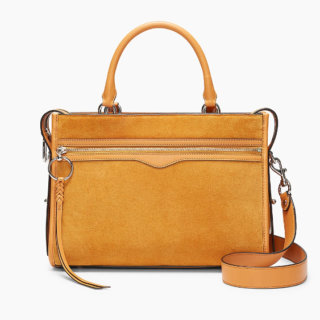 Gabriela Hearst bags are all about shape, structure and architecture. The unique shapes and construction of these bags are what sets them apart and you can even get ones that look like a chest of drawers! We love this Nina bag and think it would go with everything but if you want one then you better act fast – they’re so popular that there’s already a waiting list to get your hands on one. Iconic for the black and white colour palette and signature red pout, Lulu Guinness bags embody femininity. 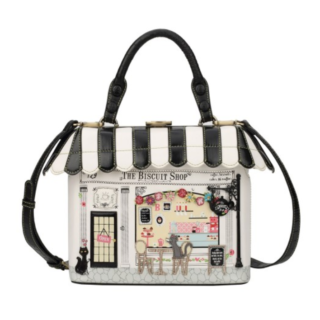 They have a great range of bags and purses, as well as clothing, but this handbag is a real standout for its ideal size, striped detailing on the strap and tiny pop of colour on the red lip mark. The Cambridge Satchel Company really blew up when it was featured on the Google adverts and since then they’ve gone from strength to strength. 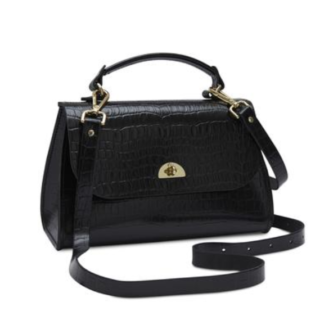 Branching out from their original satchel design, they now create a number of different styles, including this croc leather handbag that we just love. Everyone needs the perfect black handbag in their lives and this one incorporates both design and quality. For those of you looking for a bargain, Hey Sailor is certainly worth a look. They offer a great range of bags, jewellery and other accessories and we particularly love this aptly named ‘Let The River Run’ bag. 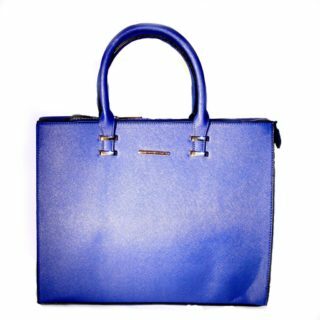 The tote style makes it a great everyday bag for fitting all your essentials in, but it’s the striking blue colour that has really got us looking like the heart eyed emoji. For a brand that truly brings together different cultures, you’ll want to have a look at Väska. A brand created in Barcelona and inspired by the Fenno-Swedish roots of the designer, it brings together Nordic and Mediterranean influences. 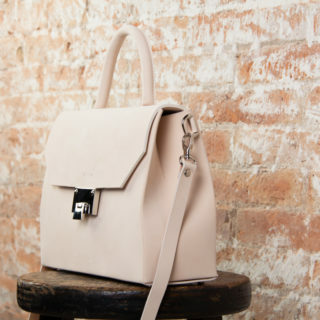 The moral conscious will be a big fan of the brand too, as all their bags are handmade of 100% vegetable leather. The zero stitching involved in their constructions gives them the clean, Nordic edge and we love the neutral blush tone of this one (part of the Aura collection). Byredo bring together a number of essential products on the spectrum from fragrance to body care to leather goods. 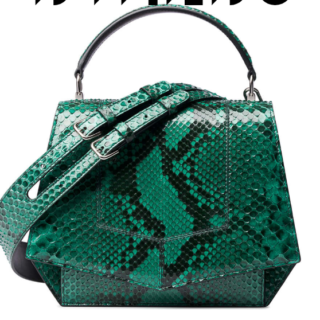 For a real statement bag this season, you need to get yourself this green python style. The snake pattern is different on every skin, making every version of this bag complete unique and special. 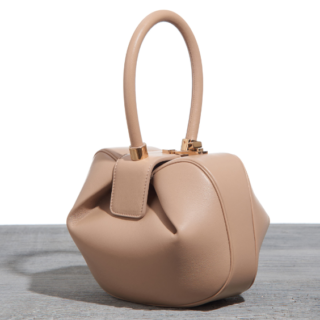 The shape is something a bit different too and we guarantee that investing in this bag will give you a timeless classic you’ll wear again and again. And if payday feels far away and things like bills and direct debits are getting in the way of the handbag shopping spree of your dreams then listen up. You could win this Carvela bag completely for free! Simply enter via the button below to be in with the chance to bag yourself (pun not intended) a freebie worth £70! 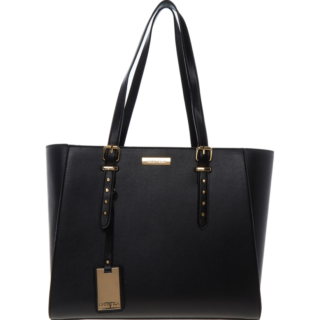 WIN – Carvela Black Leather Tote Bag (Worth £70)! Add a touch of elegance this autumn with this fashionable black leather Tote bag, featuring gold tone contrasting studs, buckles and zip.